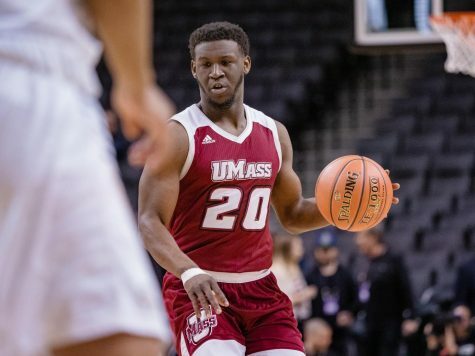 If it wasn’t for the name on the visiting team’s jersey, last night’s game would be oddly familiar to the one the Massachusetts men’s basketball team played less than a week ago. It goes on a run against a competitive opponent, but eventually shoots itself out of the game. 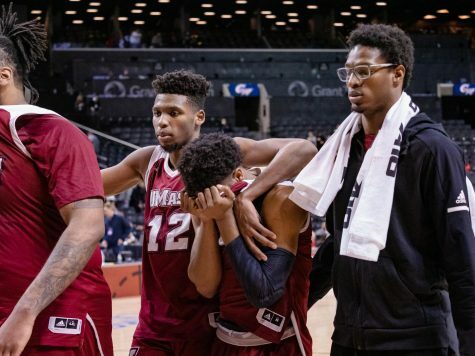 UMass did exactly that in its 87-79 loss to Xavier. 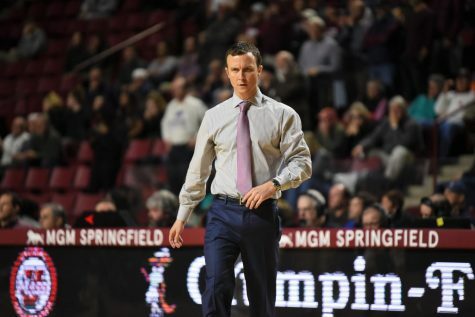 The Minutemen (8-14, 2-6 Atlantic 10) held a 69-68 lead with four minutes, 37 seconds remaining in the second half, but the Musketeers (16-6, 8-1 A-10) came right back with nine straight points. The only offense the Minutemen could produce were two missed 3-pointers by guards Anthony Gurley and Freddie Riley. It started with two straight 3-pointers by Jordan Crawford, who scored 10 of his 25 points in the final 4:11 to put Xavier up five points. 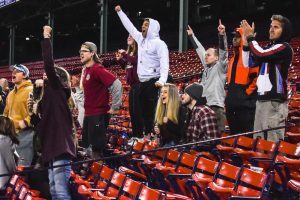 By the time UMass started hitting baskets on its own, it was too late, as the Musketeers responded right back. 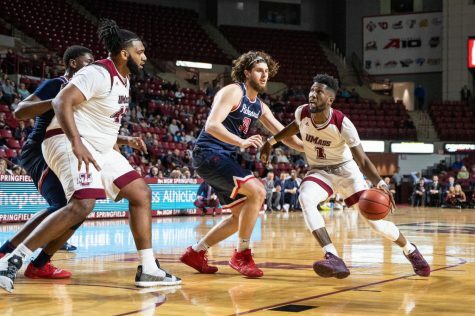 The Minutemen had a similar game against Charlotte on Saturday night, and came within one point of taking the lead early in the second half, but the 49ers went on a 15-3 run and kept the Maroon and White out of the game. UMass didn’t score a single field goal for 8:34, but it was too late as they never got any closer than nine points. 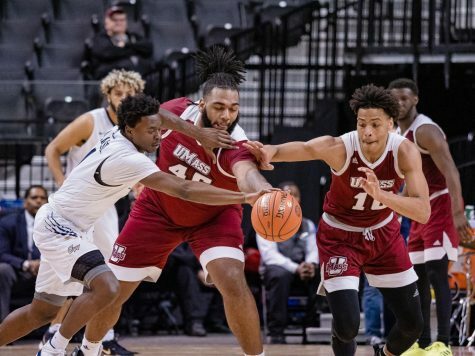 The Minutemen and Musketeers were physical throughout the contest, but for UMass, being physical ended up hurting towards the end of the game. Despite finishing with only two more fouls than Xavier (17), Terrell Vinson, Javorn Farrell, and Sean Carter all fouled out of the game. 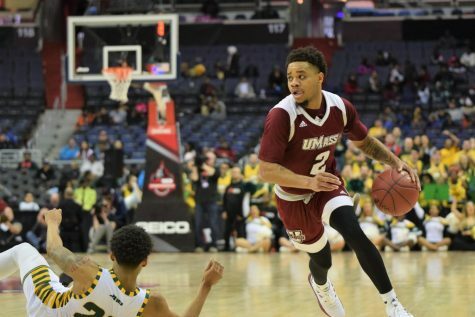 Wednesday saw the greatest number of UMass players foul out in a single contest this season. 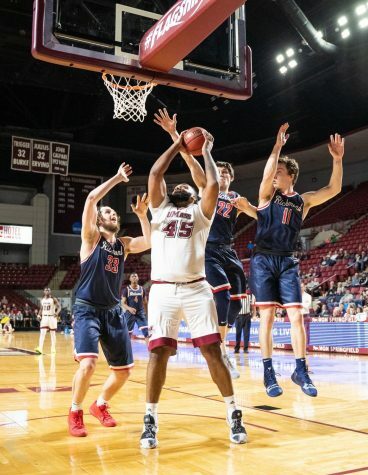 Farrell and Carter didn’t foul out until the final minute, but Kellogg had to divide the minutes pretty regularly with his three starters getting in foul trouble. The Musketeers only had two players with four fouls. Jason Love finished the game with 32 minutes while Brad Redford picked all of his fouls up in six minutes. 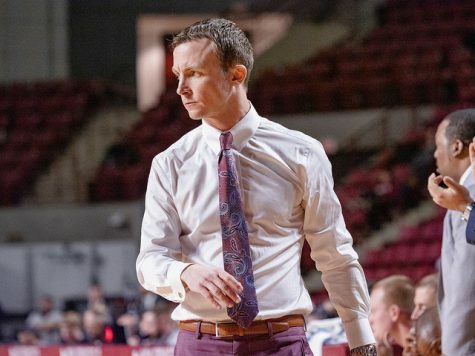 Kellogg knew that as soon as he lost sophomore David Gibbs for the season with a broken foot that one of his other guards would have to step up. 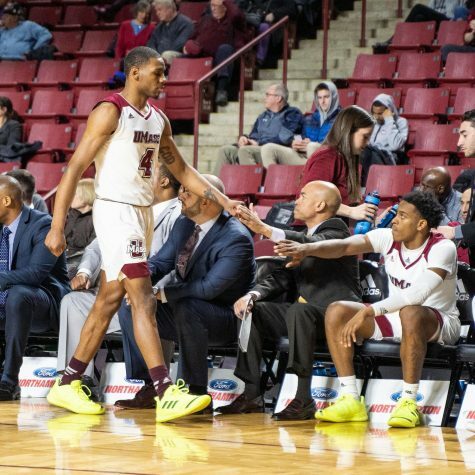 Last night, that player was freshman Freddie Riley, who started for the first time in his career at shooting guard while senior Ricky Harris took back the point guard position. Riley finished the game with 10 points on 4-of-11 shooting and came down with five rebounds. It was a drastic improvement from his game against the 49ers, where he finished with no points on four shot attempts, all from beyond the arc. 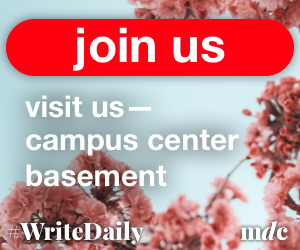 “[Kellogg] told [the freshmen] that we need to stop playing like freshmen and we need to assert ourselves a little more on offense and defense,” Riley said. 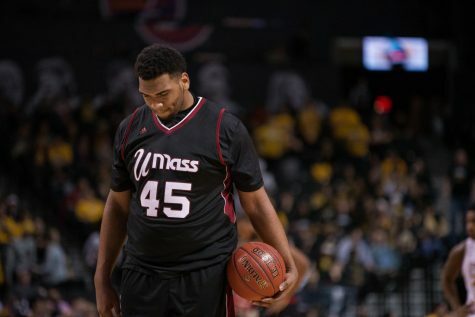 Despite Riley’s inconsistencies, he has made himself the third leading scorer for UMass, averaging 9.9 points per game. His best game came against La Salle, where he put up 22 points on 7-of-15 shooting. Six of those field goals were from 3-point range. Boston Celtics General Manager Danny Ainge was in attendance to scout players on the Xavier squad. The only player from the Musketeers likely to go pro this year is Love, who is the team’s lone starting senior. The center finished with 15 points on 6-of-7 shooting and grabbed five rebounds to go along with a block. He currently averages 11.1 points per game and 8.5 rebounds.